*Please pardon my absence! We are now T minus 3 days from being out of Preschool! I will have one week to maintain order in my home before the children are out of school for summer! I sit here in a reminiscing mood. I don’t think I have shared with you the inspiration for this blog. Have you heard of a music group called For King & Country? They released a song on the radio last year called Fix my Eyes. Every time I would hear the words “Fight for the weak ones, Speak out for Freedom” my heart would beat fast and hard. There was a passion growing inside of my heart to share with others the love of Christ. I am just yet one voice of millions, billions, and if you know me personally a very soft-spoken voice at that, so it would only make sense that I would write and not speak out loud! Amazingly enough God doesn’t care how loud or quiet we are he can still speak through us all. Today as I am reflecting on the words of this song I can’t help but feel insecure. My blog tends to be an accountability for me. It helps hold me accountable to living a healthy life style from the inside out! It would not benefit you or me the least bit if I didn’t live out the topics and advice I give here on this blog! Sometimes I feel like a fraud because I can get my feathers ruffled in a jiffy, I can have the don’t want to’s to get up and go work out, and there are days I don’t pick up my Bible.. I am so far from perfect it is pathetic, and sharing my walk with Jesus makes me feel vulnerable of harsh judgments. These feelings also make me hesitant to continue to write. To love like I am not scared seems impossible. I am scared! I am scared that I am going to get hurt! I am scared that someone will take advantage of me or worse not accept my love as true or genuine. Give when it’s not fair.. how many times have I shouted out loud, this isn’t fair!!!! How many times have I been angry, while smiling and bearing that big fake grin, trying to convince myself that as a women of faith I’m doing the right thing, the “Christian” thing by trying to be my friendliest! Meanwhile I am not taking the root problem to God so he can do a work in my heart, which is breeding resentment, anger, and lots worse. Live life for another, take time for a brother… there are days I am pumped to be a blessing to someone, but I would be lying to you if I told you I never have days where I would rather lock myself in my bedroom and watch chick flicks on Netflix all day! There are days where I wish I could rush motherhood, rush work, rush life, etc. Fight for the weak ones, speak out for freedom….how many times have I gone mute in a situation I should have been courageous enough to take a stand for someone who was too afraid to speak up for themselves! How many times have I been too afraid to stand up for myself! Those moments leave me empty inside. How many opportunities have I wasted sharing the gospel with a stranger, a friend? Find faith in the battle…the battles that come in short spurts, or torrential downpours in my every day life. 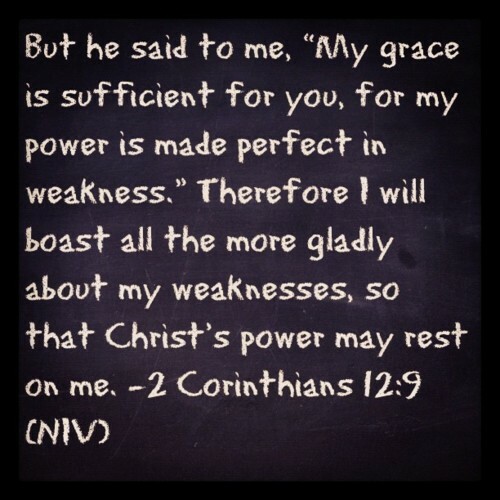 I have to admit some days I lose hope in battles I have been fighting while praying for grace to get me through. I doubt in faith when I need it the most. Why? I don’t know why! I think it has something to do with being human. Battles of being a Mom, a friend, a co-worker. I find my biggest battles usually are the ones I wage within myself in my mind. Am I doing this whole Jesus loving thing right? Am I being a light in a dark place? Salt in the world? And the worst part of it all is some days I don’t have my eyes fixed on Jesus, I have my eyes fixed on other things like worrying about drama, attractions this world offers us, or just distractions that show up and stay a while. Just thinking about how imperfect I am leaves me craving his love and grace more. Knowing that He knows I am imperfect , but still chose to die for me so that I would be covered in his grace, forgiveness, and love makes me love Him more. On my worst days, He still loves me the same! We are all imperfect, no matter what calling we have on our lives. Everyone just have bad days here and there. Everyone falls short of his glory, but everyone can still receive his forgiveness in the areas we fall short in, and everyone can receive Christ power to over come any obstacle they are facing on any given day! So today I admit my short comings, my distractions, my desires of wanting my own control and my own way in life. I don’t have it all together, but I know and have the One who knows how to keep me all together, and His grace is sufficient for me! I challenge you on this Monday to live Fearlessly, Recklessly, and Radically for Christ! Here is the song on Youtube! Be sure to Follow Leigh Leigh speaks via email or on Facebook or Twitter! Great and honest post on our weaknesses and His strengths. It’s good we see room to improve our relationship with The Lord. You don’t know high if you don’t know low right?